This is the mounting plate used in the Plug-n-show version of the 10W floods. The plate is designed to mount a CMB24D card and the 200W Power Supply (part number: PS-LED-12V-200W) in our plastic enclosure (part number: PC-Enclosure). It includes all mounting hardware, standoffs, screws, nuts lockwashers, etc. 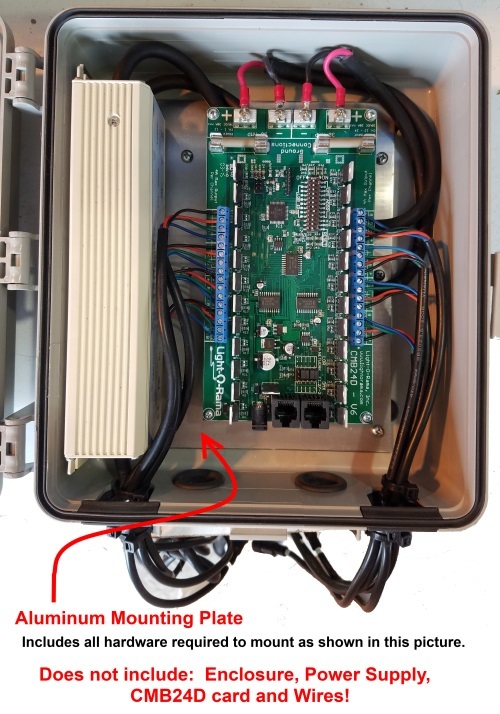 This is just the mounting plate and does not include the enclosure, CMB24D or the Power supply.